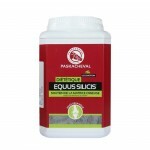 EQUUS SILICIS combines natural plant extracts to a natural source of calcium. Those elements help to maintain healthy bones and tendons. 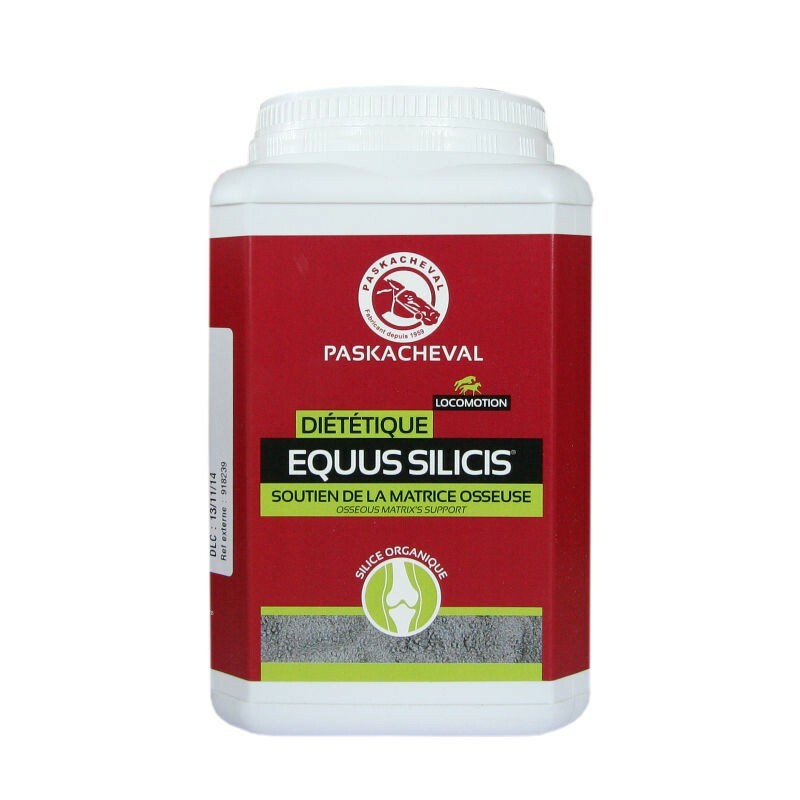 EQUUS SILICIS is a great source of silica (more than 45%) and calcium (highly digestible). Silica and calcium are essencial for bones mineralisation. EQUUS SILICIS is rich in plants extracts, especially blackcurrant. Those plants, with soothing virtues, are used to relieve articular and tendon pains. Young horses : guarantee a healthy bone structure. Horses in recovery : for a great calcification after a fracture, tendonitis, crack. Composition : Vegetables extracts, calcium carbonate, calcium proteinate, dead yeasts. Horses : 30 g per day for 10-15 days. 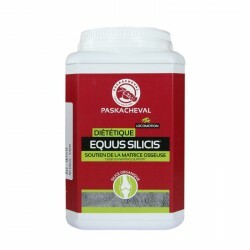 For recovery : use EQUUS SILICIS with HORSETAIL POWDER for 1 month. Day 1 to 15 : 30 g of EQUUS SILICIS. Day 16 to 31 : 50 g of HORSETAIL POWDER. Weight Seau de 1 ou 5 kg.